Alley Kat’s Quilt Shop carries a vibrant selection of quilting cottons, specialty fabrics, and fiber art supplies, to suit a wide variety of creative sewing needs, including garment making, home décor, and quilting. 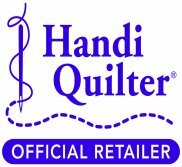 As an authorized dealer for Elna, Handi Quilter, and Horn cabinets, as well as a qualified provider of sewing machine services, we have everything you need for a more enjoyable and successful sewing experience. No matter your skill level or sewing style, you’ll find classes here to suit your individual interests. Located in Marquette, MI, our store features an inviting atmosphere, with a friendly staff that specializes in attentive, personalized service. Please be patient as we get this new website up and running for your very own on-line shopping experience!